To know him was to love him, and the world is an emptier place without him. 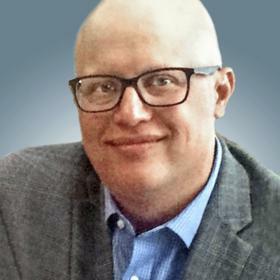 Robert Lee Savaglio Jr. was called to the Lord on March 18, 2019 peacefully at his home in Byron Center, MI. 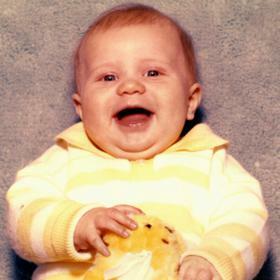 Robert Lee Savaglio Jr. was born October 4, 1979 in Racine, WI to Pamela Ann Mertins and Dr. Robert Lee Savaglio. 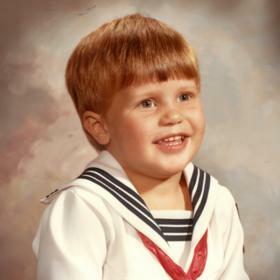 As he grew up, Robert became Rocky and Rocky attended Trinity Lutheran School where he began his love of playing sports and grew his Christian values. As a boy, Rocky started a baseball card collection that he continued his whole life. What started as a hobby became a prized sports memorabilia collection. As a teenager, Rocky became Rob and Rob started at Lutheran High School then followed his football coach, Scott Smith to St Catherine’s High School (Class of ’98). He excelled at both basketball and football, setting school records along the way and as a Senior was awarded Racine’s Defensive Player of the Year. 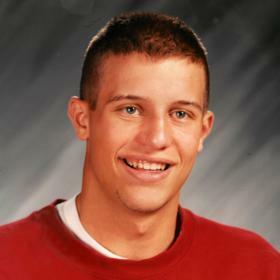 Rob moved on to UW-LaCrosse where he received his BA in Accounting followed by a Masters in Accounting from UW-Milwaukee. Rob chose accounting because he would go with his Dad to visit our Uncle Al at work – Dairyland Racetrack in Kenosha, WI. There Rob learned gaming odds and statistics. With this love of the gaming industry Rob decided he could work in a sports book, but would often say, "Why should I be a bookie when I can run the casino?" He took his own advice and moved to the glamorous city where an accountant could find exciting work – Las Vegas. Rob started at MGM Grand and Caesar’s Palace casinos and eventually worked his way up to Casino Controller at Treasure Island where he became known as “Hombre De La Gente” for his friendly talkative nature and ability to strike up a conversation with any employee. 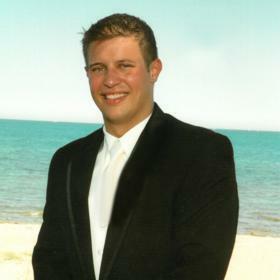 Rob then went on to be the Director of Finance at Red Rock Hotel and Casino. After about a decade in Las Vegas, Rob wanted a change and decided to take a position as CFO for Gun Lake Casino in Wayland, MI. Rob was able to parlay this position into a larger role as CFO of the Gun Lake Tribe which was his final position. Other than sports memorabilia, Rob also had a vast collection of mint condition Nikes. Rob enjoyed watching basketball, baseball, football, UFC & golfing. There was not a sport Rob wouldn’t watch or play. When Rob was not watching or playing he was coaching. He coached high school teams in Wisconsin and volunteer coached for a kids basketball team in Las Vegas. Music was something Rob had a variety of tastes for. His favorite was the Beastie Boys and he went to many concerts. In his life, Rob was lucky to travel to many different places and make so many dear lifelong friends. Rob leaves behind his prized companion, Gigi, his Bison Frise- he would not allow you to call her "the dog". He is survived by his parents Dr. Robert Lee and Pamela (Mertins) Savaglio of Sun City, AZ. His sisters Amy Savaglio (Vincent Niemi) of Peoria AZ, Melissa Kim (Dr Kyu) of Tualatin, OR, and Joy Hulsey of Denver, CO. His nephews Gavin, Kai, and Jakobi Kim who will truly miss fun Uncle Rob. A Celebration of Rob’s life will be held Saturday, April 13, 2019, 2:00 pm at the funeral home with Rev. Jim Olson officiating. Relatives and friends may meet with the family Saturday from 12:00 pm until time of service at 2:00 pm. In lieu of flowers, the family request donations to Racine Youth Sports.